The boy born in Lyme Regis in humble circumstances would embark on a career of profound significance to ornithology and science generally, and would achieve enduring renown in the Antipodes as the "father of Australian ornithology." — Roslyn Russell, p.8. 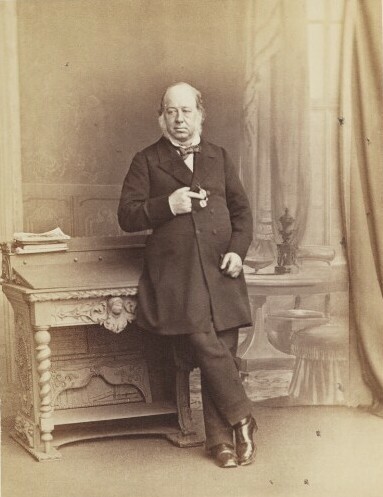 He was one of the foremost collectors of the world; a first-rate taxidermist and taxonomist; one of the finest publishers in London; and an accomplished, if sometimes unscrupulous businessman. The ornithologist's most fundamental wish, however — a wish that was both modest and characteristically ambitious — was to be remembered simply for his love of birds. — Isabella Tree, p. 220. Bettany, G. T. Dictionary of National Biography, Vol. VIII, Glover - Harriot. Ed. Leslie Stephen and Sidney Lee. New York: Macmillan / London: Smith, Elder, 1908: 287-88. Internet Archive, contributed by the University of California Libraries. Web. 3 April 2019. Gould, John. Birds of Asia. Internet Archive. Contributed by Smithsonian Libraries. Web. 3 April 2019. _____. Birds of Australia Vol V. London: Gould, 1848. Internet Archive. Contributed by Smithsonian Libraries. Web. 3 April 2019. _____. The Birds of Europe. Vol. I, Raptores. Internet Archive. Contributed by Smithsonian Libraries. Web. 3 April 2019. _____. The Birds of Great Britain Vol. 1.. London: Gould, 1873. Internet Archive. Contributed by Smithsonian Libraries. Web. 3 April 2019. _____. A Century of Birds from the Himalaya Mountains. London: Gould, 1831. Internet Archive. Contributed by Smithsonian Libraries. Web. 3 April 2019. _____. A Monograph of the Trochilidae or Family of Humming-birds, Vol. 4. Internet Archive. Contributed by Smithsonian Libraries. Web. 3 April 2019. Ruskin, John. Love's Meinie: Three lectures on Greek and English Birds. Project Gutenberg. Web. 3 April 2019. _____. Works, Vol XXXIV. Eds. E. T. Cook amd Alexander Wedderburn. London: George Allen, 1890. Internet Archive. Contributed by the Digital Library of India. Web. 3 April 2019. Sauer, Gordon C. "Gould, John (1804–1881), ornithologist and publisher." Oxford Dictionary of National Biography. Online ed. Web. 3 April 2019. Smith, Jonathan. Charles Darwin and Victorian Visual Culture. Pbk ed. Cambridge: Cambridge University Press, 2009. See Ch. 3, "Darwin's Birds," on Gould, Darwin and Ruskin.